In 1967, we pioneered commercial development of Canada's oil sands – one of the largest petroleum resource basins in the world. Since then, Suncor has grown to become a globally competitive integrated energy company with a balanced portfolio of high-quality assets, a strong balance sheet and significant growth prospects. Across our operations, we intend to achieve production of one million barrels of oil equivalent per day. 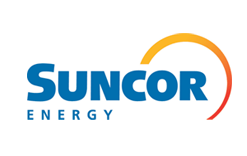 Suncor Energy is a Canadian integrated energy company based in Calgary, Alberta. It specializes in production of synthetic crude from oil sands. Suncor ranks number 134 in the Forbes Global 2000 list.